Rabies is a fatal viral disease which affects the central nervous system. It causes inflammation of the brain, leading to death. Diagnoses should be carried out by an expert either clinically or by laboratory examination.Certain neurological disorders can also show similar symptoms, a dog may salivate due to ulcers in the mouth or poisoning, it can bite due to provocation too. So an examination by a veterinarian is a must. 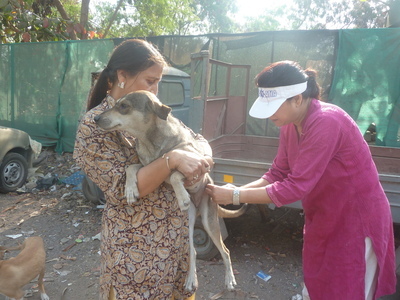 Vaccination against Rabies is a process that needs to be followed every year to prevent Rabies from spreading.